KuCoin Exchange Review: Is It Reliable? Although KuCoin is a relatively new kid on the block, it did not take long to establish itself as a prominent one-stop shop for altcoins. Launched in August 2017, the exchange has over 150 cryptocurrencies, 400 markets, and no record of concerning incidents. It offers bank-level security, slick interface, beginner-friendly UX, and some of the lowest fees in the market. Besides, it uses an advanced trading engine, so there are no lags even during the busiest hours. Investors like KuCoin due to its tendency to list small-cap and lesser-known cryptos, large selection of altcoins, and appealing profit-sharing incentives. Up to 90% of trading fees go back to the KuCoin community through KuCoin Shares (KCS) tokens. 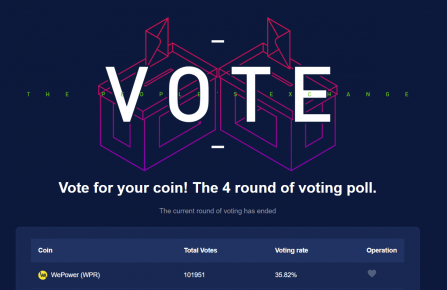 Apart from being among the top altcoin exchanges, KuCoin is well-known for its rewarding incentives. The platform users enjoy sharing 50% of the trading fees profits and receive up to 30% trading fee discount for staking KuCoin Shares (KCS), up to 20% bonuses for referrals, and can even collect GAS for holding NEO on the exchange. Low fees. In addition to the bonuses and discounts, the exchange charges only a 0.1% fee for every trade, and a varying fee for withdrawals. KuCoin does not charge any fees for deposits. Excellent customer service available 24/7 via the website, email, and hotline. Bank-level asset security. KuCoin uses many security measures, including micro-withdrawal wallets, industry-level multilayer encryption, dynamic multifactor authentication, and dedicated internal risk control departments which oversee day-to-day data operations according to strict security standards. Access to a diverse variety of altcoins. Kucoin does not shy away from listing “hot” coins, as well as new projects with significant potential. The exchange has over 400 open altcoin markets, so it is perfect for traders fishing for substantial gains. Intuitive and beginner-friendly platform. Excellent design and the robust trading platform make trading easy and enjoyable for everyone. Although the exchange started operating in mid-2017, its founding team has been experimenting with blockchain technology since 2011. The platforms technical architecture was created in 2013, yet it took years of polishing to make it a seamless experience KuCoin is today. Funds for KuCoin development were raising via an ICO which lasted from August 13, 2017, to September 1, 2017. During that time, KuCoin issued its native KuCoin Shares (KCS) tokens, which are used to receive special offers, trading discounts, and a part of exchange profits. The crowdsale was a success, as KuCoin raised nearly $20,000,000 in BTC (at the time) for 100,000,000 KCS. The ICO price for a single KCS was 0.000055 BTC. 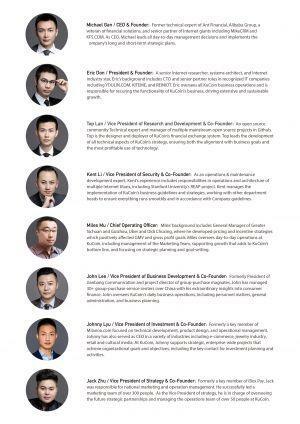 KuCoin’s management team consists of eight core members. The key founders of the exchange are Michael Gan and Eric Don. As of today, KuCoin provides services in most countries in the world, including the United States, India, Japan, Canada, United Kingdom, Singapore, and many others. KuCoin offers some of the lowest fees among altcoin exchanges. Its fee structure is relatively straightforward and easy to understand. The deposits are free, while withdrawals incur a small cost which differs per cryptocurrency. NEO and GAS are free to withdraw from KuCoin. In most cases, KuCoin withdrawal fees match up with Binance’s, which is known to be the lowest fee exchange. For a complete KuCoin withdrawal fee for each cryptocurrency, visit its fee schedule page. Regarding individual trades, every deal is a subject to the fixed 0.1% fee. However, users who hold KuCoin Shares (KCS) are entitled to the additional trading fee discount, too (see below). Besides, the exchange has an institutional investor program whose participants can get significant trading fee discounts. KuCoin is one of the cheapest altcoin exchanges in terms of trading fees. It is safe to say that KuCoin’s biggest competitor is Binance, as both exchanges compete in a similar niche. 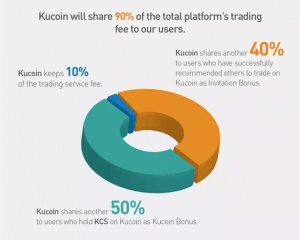 They charge almost equally low fees, yet KuCoin Shares (KCS) offer some additional advantages. As mentioned above, KuCoin Shares (KCS) were used to fund the exchange. In total, 200,000,000 KCS were issued and distributed to founders, private investors and regular investors. Funds issued in the first and second phases are subjects to four (September 2, 2021, for phase one) and two year lock-up periods (September 2, 2019, for phase two). Receive daily cryptocurrency dividends which account for 50% of the collected trading fees. 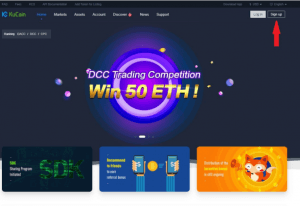 Get a trading fee discount (min. 1000 KCS for 1% discount; max 30,000 KCS for 30% discount). The system takes a snapshot of users KCS holdings daily at 00:00 (UTC +8) to calculate the applicable discount rate. More trading pairs, including BTC, ETH, LTC, USDT, XRP, NEO, EOS, CS, GO. Experience exclusive KCS holder perks and offers. KuCoin users earn part of the daily exchange profits by staking KCS. For instance, if you hold 10,000 KCS, and the exchange collects 20 BTC in trading fees (0.1% of daily trading volume), you would receive 0.001 BTC converted to KCS per day (20 * 50% * (10000/100000000)). Another way to earn KCS is by referring your friends. You can make up to 20% referral bonus each time your friend completes an order. You can sign up on the exchange using our KuCoin referral code: f7MKe6. KuCoin is straightforward and easy to use even for beginners. 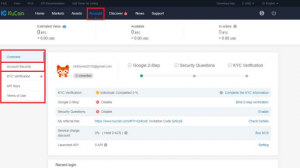 It has a simple and modern layout which extends through all pages and is powered a powerful API interface. The trading platform uses an advanced core trading engine which can handle millions of transactions per second (TPS). If you want to make a trade, you need to go to the “Markets” tab and search for the market you’re interested in. 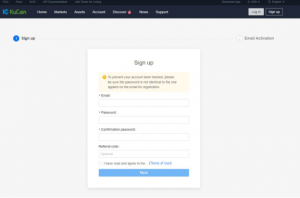 Entering the trading window requires you to resubmit your 2FA code, but that is just an extra layer of security. Here you have an overview of your orders, market charts, and other relevant information. For the sake of simplicity, KuCoin supports only basic order types, which is great for new traders but might be somewhat inconvenient for more advanced users. However, advanced orders and more requested features should come out with the upcoming KuCoin 2.0 release. All in all, it is safe to say KuCoin is a powerful and extremely beginner-friendly exchange. For users who prefer to trade on the go, KuCoin has a convenient mobile app available on both Android and iOS mobile devices. As of January 2019, there haven’t been any reported KuCoin hacking incidents. The exchange brings about an effective mix of security precautions on both system and operational levels. System-wise, the exchange was constructed according to finance industry standards, which grant it bank-level data encryption and security. On the operational level, the exchange employs specialized risk control departments that enforce strict rules for data usage. 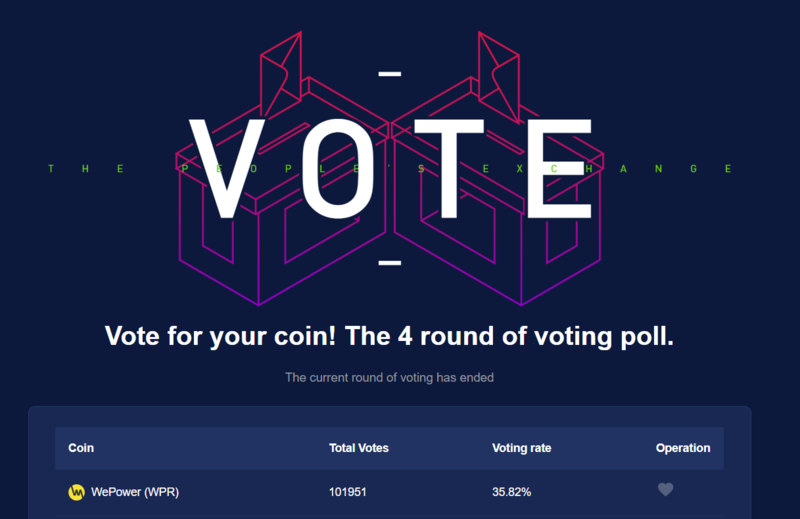 In contrast to other exchanges, most users agree that KuCoin is a safe and reliable platform. KuCoin is an exclusively crypto-to-crypto exchange, which means you cannot deposit any fiat. It supports neither fiat trading pairs nor deposits, so to trade you have to get cryptocurrency elsewhere and then send it to KuCoin. You can learn how to do it here. KuCoin does not charge fees for deposits and has a varying fixed fee for withdrawals. Transaction processing times usually depend on the asset’s blockchain, but they are executed within one hour, so withdrawals usually reach user wallets in 2-3 hours. More substantial withdrawals are processed manually, so users who withdraw higher amounts may have to wait 4-8 hours at times. How To Open An Account On KuCoin? Click the “Go To KuCoin Exchange” button above to go to KuCoin’s homepage. Once there, you will see a “Sign Up” button in the upper left corner. Enter your email and a strong password consisting of capital and lower-case letters and numbers. Also, you can input our Kucoin referral code to participate in the referral bonus program. Once you are in the exchange, you will have to secure your account. Navigate to the “Account Security” tab in the “Account” menu. 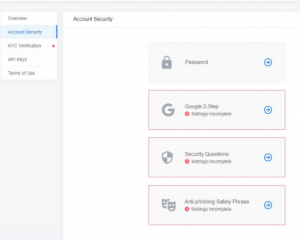 Here you will see available KuCoin security tools: two-step authentication, security questions, and anti-phishing phrase. It is recommended to set up and enable all of them for maximum security. When you complete sign up and enable all the security features, you are ready to make a deposit and start trading. No KYC/AML verification is required to deposit, place trades, and withdraw funds. The only limitation is that you won’t be allowed to withdraw more than 2 BTC per day. If you need further assistance regarding KuCoin functionality, reach out to the help desk or see KuCoin FAQ section.